Vivid Sydney is a festival of light that takes place every May around CBD precincts, including Circular Quay, The Rocks, Martin Place and Darling Harbour. 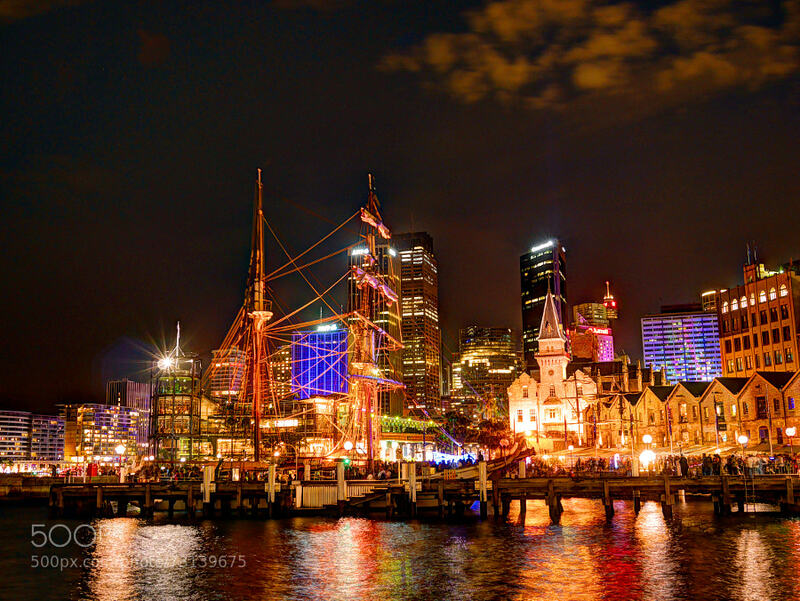 This image was created at The Rocks, one of the oldest parts of Sydney, with the CDB lit up in the background. This is a HDR night image, using three images. I used a Gorilla Pod mounted to a light post to stabilise the camera and get a higher perspective. I used the Panasonic iPhone app to trigger the shutter release remotely.